The neat design and the harmonious blending of colours are making Renoir, the riverboat owned by CroisiEurope, one of the main tourist attractions in Europe. People from all over the world are fascinated by this French jewel which is able to fit 158 passengers in all of its 78 cabins. 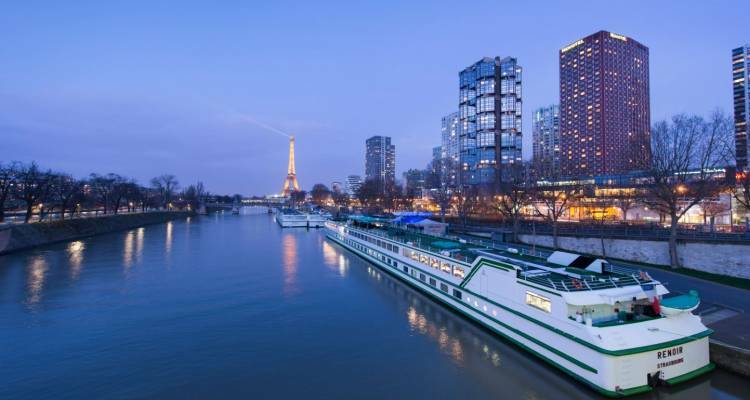 Undergoing a modernization process in 2011, it is the best way to enjoy a beautiful Seine cruise and the surrounding sceneries. There is no room left for boredom, as there are plenty of ways to spend time and make memories. Main deck: 51 cabins (37 twin cabins, 7 cabins featuring a double bed, 2 singles, 4 triples, 1 suite).